True Blue Dreaming, http://www.truebluedreaming.org.au/, is committed to supporting and strengthening young lives in rural and remote communities. It is a youth and community development mentoring program engaging young people aged 12-18 in rural and remote Australia. Their programs have been successfully delivered in the Wheatbelt, Kimberley and Pilbara regions of Western Australia since 2004. True Blue Dreaming Inc. is a registered not for profit charity. Applecross Rotary has donated to True Blue Dreaming Inc. to support ongoing mentoring programs in the WA wheatbelt towns of Bruce Rock and Wyalkatchem for 12 months. These programs provide one on one mentoring of young secondary school students in these towns by University students, mostly from Perth, to expand the students educational and aspirational horizons. The funding will cover some of the costs of mentors travel to the towns and of mentees visits to Perth institutions. These are established programs with strong anecdotal evidence of the benefits to the mentees. The programs are strongly supported by the mentees schools. The mentors typically are University students often from a rural background. The mentoring programs are based on a 12-month contract between participants. Mentoring has been shown to raise school attendance and completion, support transition from school to further training and employment and to help young people to feel better connected to their school and their peers and generally raise their self-esteem. This school provides high quality bi-lingual education to impoverished and marginalised children in Ethiopia. The curriculum and the comprehensive pastoral care package is designed to empower these children to move out of the hopelessness and drudgery of intense poverty and deprivation, and through their own efforts, change their life chances, those of their families and their communities, and become significant contributors to the development of the Ethiopian economy. It has 340 children (2016) with a vision to have over 1000 in the next 10 years. All children are supported by sponsorships and donations. The amazing achievements of the school and its children have not gone unnoticed. In late 2015 the Ethiopian authorities gave the project several parcels of land, which included three disused school buildings. Starick is a not for profit organisation (https://www.starick.org.au ) which provides multi-layered support services in Perth’s south-east metropolitan area to women and children experiencing family and domestic violence. Starick’s services include two refuges for women with children, supported community housing, court support, advocacy, children’s programs, community outreach services and an Op Shop. The Ronald McDonald House (https://www.rmhc.org.au/our-programs/houses/perth ) near the new Children’s Hospital in Monash Ave, Nedlands provides a home away from home for seriously ill children and their families. When families have to travel far from home to obtain specialist medical care for their sick child, securing accommodation in an unfamiliar place adds to their stress and anxiety. It can also add enormous financial pressure to families already stretched to the limit by medical bills and associated costs. Ronald McDonald House helps ease that pressure by providing accommodation to families at no cost near their child’s hospital for as long as they need it – days, weeks, months or years. Though there is no place like home, Ronald McDonald House strives to provide a safe and comfortable environment where the whole family can stay together for the duration of their child’s treatment. 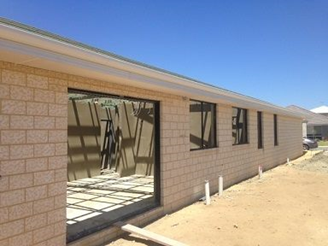 The Rotary Club of Applecross donation was towards their Education Centre. The Pinjarra Rotary Club organised an appeal for trauma counselling and other services for the residents affected by the January – February 2016 devastating bushfires in the Waroona – Yarloop – Harvey area of south west of Western Australia. Some 70 Rotary Clubs including the Rotary Club of Applecross donated to the appeal. The Pinjarra Rotary Club also coordinated members of some 20 Rotary Clubs who assisted farmers repair their fencing. Australian Rotary Health (https://australianrotaryhealth.org.au/) is one of the largest independent funders of mental health research within Australia. It provides funding to a broad range of general health areas, for scholarships for rural medical and nursing students and Indigenous health students. Australian Rotary Health provides funding into areas of health that do not readily attract funding, and promotes findings to the community. 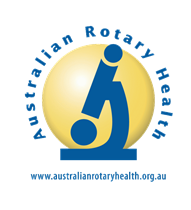 Australian Rotary Health is supported by a number of Rotary Clubs in Australia. It has a broad vision to improve the health and wellbeing of all Australians. The Rotary Club of Applecross donated to the Indigenous Health Scholarships which support Indigenous students to undertake tertiary training in nursing, physiotherapy, psychology, dentistry and other health related degrees. The Rotary Foundation enable Rotarians and their Clubs to advance world understanding, goodwill, and peace through the improvement of health, the support of education, and the alleviation of poverty. The Rotary Foundation helps fund humanitarian activities, from local service projects to global initiatives. 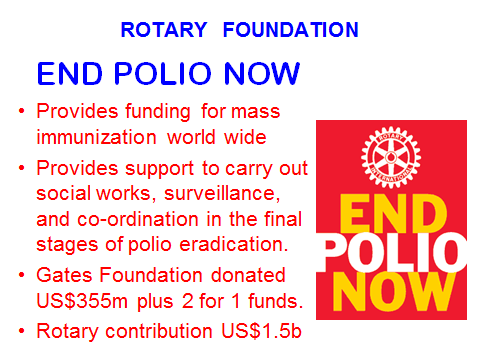 The Foundation also leads the charge on worldwide Rotary campaigns such as eradicating polio and promoting peace. 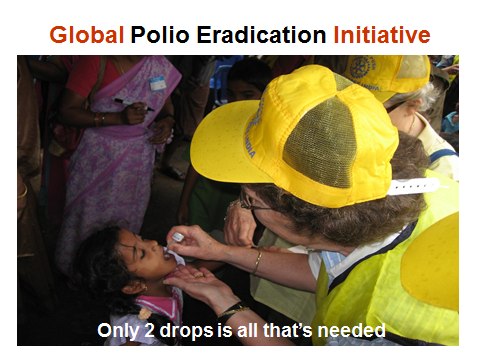 In 1985, Rotary launched its PolioPlus program (http://www.endpolio.org/ ), the first initiative to tackle global polio eradication through the mass vaccination of children. Rotary has contributed more than $1.5 billion and countless volunteer hours to immunize more than 2.5 billion children in 122 countries. In addition, Rotary’s advocacy efforts have played a role in decisions by donor governments to contribute more than $9 billion to the effort. Less than 370 polio cases were confirmed worldwide in 2014 and less than 100 in 2015; this is a reduction of more than 99.9 percent since the 1980s, when the world saw about 1,000 cases per day. ShelterBox which began in 2000 as the brainchild of a Rotarian and with the support of his Rotary club in the UK and has grown to be a major international project with headquarters in the UK and some 20 international associates. Rotarian support currently contributes an estimated 50% of ShelterBox donations. Around 5,000 rotary clubs worldwide have supported ShelterBox since it was launched. 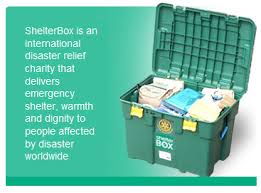 In 2012 ShelterBox signed an historic agreement with Rotary International and became a Project Partner. ShelterBox provides families after disasters, such as flooding and cyclones, the essentials needed to begin rebuilding their lives. These include ShelterBoxes and ShelterKits. The sturdy green ShelterBoxes contain family-sized tents specially designed to withstand the elements and provide people with temporary shelter until they are able to start the process of rebuilding a home. The ShelterKits contain all of the essential tools people need to start repairing and rebuilding homes. These kits and boxes also contain the items that help transform shelter into a home, like cooking sets, solar lights and activity sets for children. ShelterBox aims to put as much of the donations directly into aid as is possible. It is a lean organisation that benefits from the tireless efforts of a strong and extensive support base of volunteers. ShelterBoxes are given a unique number which allows these to be tracked. Applecross Rotary donated two shelters in 2015 – 16. One box went to Fiji in April 2016.